MUMBAI – MAHARASHTRA – INDIA OCTOBER 13, 2015 01.30 A.M. The hugely popular annual telly show Bigg Boss is here again in its 9th season. I watched the premier show on Sunday i.e. on October 11, 2015. I found to my amazement that this season of Bigg Boss has 3 participants, who were trained by me. They are : Kishwar Merchant, Rimii Sen & Vikas Bhalla. It is so uncanny that from Season – 1 to Season – 6, there were 2 students of mine as participants in every season. Season – 7 had 3 students of mine as participants. Season – 8 had the maximum students. There were 5 participants. Now Season – 9 again has 3 students, like season 7. There is just one regret. No student of mine were able to get the coveted title. Karishma Tanna was the only student, who became the 1st RUNNER UP in the 8th season. Here is the complete list of all the participants. Thus total number of students, who participated in previous seasons of Bigg Boss and are there in the current 9th season , comes to 23. I challenge all the acting institutes, including ” Facebook Acting Institute ” , who love to shout from the housetop, to come out with their data regarding Bigg Boss Seasons. I don’t think I will get any response. There is deafening silence as usual. On behalf of all the students & staff of VIDUR Acting Institute , VIDUR Editing Studio , VIDUR Club and VIDUR Merchandise, I congratulate my above mentioned 23 participant students of Bigg Boss Show. MUMBAI – MAHARASHTRA – INDIA OCTOBER 03 , 2014 08. 45 P.M.
” Bigg Boss – Season 8 “ has already started. This highly popular show has become an annual feature on Colors. This Salman Khan anchored show garners high TRP and is always eagerly awaited. I don’t have photographs with all of them. I trained Ragini Shetty years ago. I am posting my photograph with her. I also did acting workshop and trained Karishma Tanna for a Kannada film titled, ” I’m Sorry, Matte Banni Preethsona “ and I clicked photos with her during the workshop in Bengaluru. I am posting that photograph here. Pritam Pyaare is an old student of mine. He is very famous RJ. His programme ” Bhabhi Ka Show ” on 93.5 Red FM is very famous. Before this he worked for 98.3 Radio Mirchi also for the show ” Total Filmy “ . I met him recently. Posting his photograph also. Though not a single student of mine has won the title till date. And I am not sure whether any one will be successful this time also ? But I am happy that till now 20 students have taken part in this hugely successful show. On behalf of all the students and staff of VIDUR Acting Institute , VIDUR Editing Studio , VIDUR Club and VIDUR Merchandise, I congratulate my above mentioned 20 students, who have participated in ” Bigg Boss “. I wish them well ! May God bless them too ! MUMBAI – MAHARASHTRA – INDIA OCTOBER 30 , 2013 02.05 A.M.
Anil Kapoor made very impressive debut on TV on October 04 , 2013 with his highly acclaimed TV series ” 24 ” . It is Hindi adaptation of the American TV series of the same name , where Anil Kapoor played President Omar Hassan , the part , which is being played by Neil Bhoopalam in Hindi ” 24 ” . This American TV series is produced by 20th Century Fox . Till now 8 seasons of 24 episodes each have been made . The novelty of the show is that each episode takes place over the course of one hour . Another novelty of the series is the use of split screen . 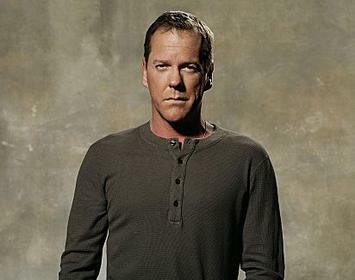 Kiefer Sutherland played the protagonist Jack Bauer in all the 8 seasons of American ” 24 ” . 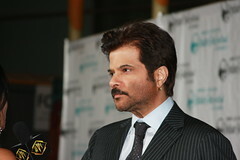 Anil Kapoor essays Kiefer Sutherland’s part in the Hindi version . I was eagerly waiting for this series . Main reason was the immense popularity of the American version and the hype which was created around the Hindi version . I also wanted to watch Anil Kapoor on TV . Another very personal reason to watch the show was the TV debut of my student Adhir Bhatt . He is playing 2nd in command in ATU [ Anti Terrorist Unit ] . He called me before the premier of the show . I am pasting the following graphic from the Wikipedia , which shows his name prominently . Only 9 actors are mentioned in this list . Undoubtedly these 9 are the most important characters of ” 24 ” . When it was announced in the press that Anil Kapoor is making ” 24 “ in Hindi , some upstart acting trainers started claiming that they are the official casting directors of ” 24 ” . They even auditioned some gullible aspirants . One can visit their facebook page and can find this wrong , mischievous , boastful and false information . I watched the series very carefully , but I don’t see their names as official casting directors anywhere in the above mentioned Wikipedia list or in the credits . These upstarts acting trainers painted town pink with the news that so many of their students are acting in the series and this became possible only because they are the official casting directors of the series . They carried this mischievous and misleading propaganda throughout the shooting of the serial . I don’t know how many gullible aspirants got impressed with this claim and took admission in their institute . After telecast of the serial , instead of many names ( as claimed by them ) , they dished out just 3 names . Adhir Bhatt is one of them . I fail to see 2 other names in the above mentioned list . Obviously , as usual , it must be a blink – and – miss role . 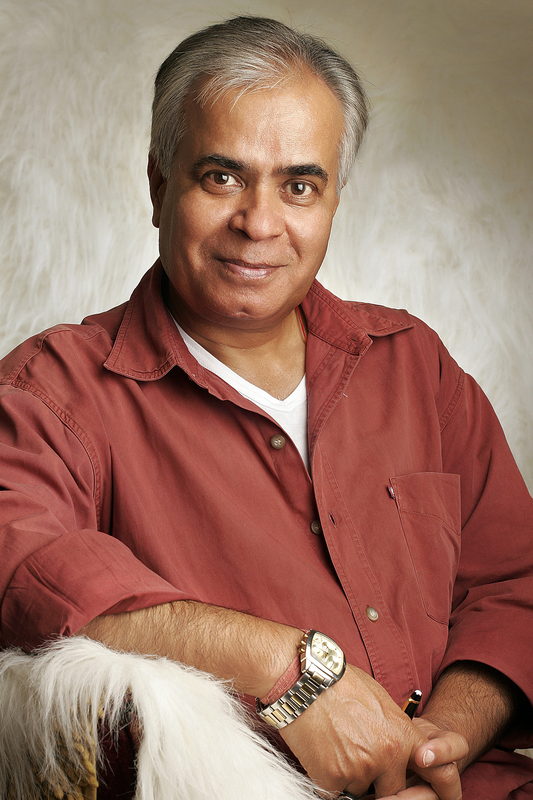 As for their claim about Adhir Bhatt , it should be pertinent to know that Adhir Bhatt is the student of Mr. Kishore Namit Kapoor and the fact of the matter is that I trained him there . I pity these GAALI GURUS of Facebook Acting School . They are desperate to be in the race but they have nothing to show as their own accomplishments . Therefore apart from making false claims , they have now started mentioning students of other trainers as their own . Can falsehood succeed ? No it can’t ! In public arena you can’t survive on falsehood . I have mentioned in one of my earlier blog that one day dust will settle and the scenario will be clear for all to see . Time has come . Dust has started settling down . Picture is slowly becoming clear . Soon every false claim will be exposed and people will demand answer . I have already given my answer in the form of my NEWSLETTER . It is available in 2 versions ; internet as well as print format . 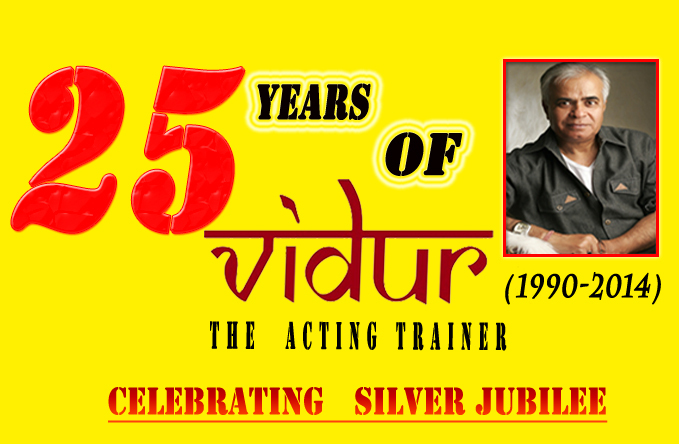 On behalf of all the students and staff of VIDUR Acting Institute , which is known as Vidur’s Kreating Charakters , I congratulate Adhir Bhatt on his stupendous success . He is doing fine job and deserves kudos for his nuanced performance . 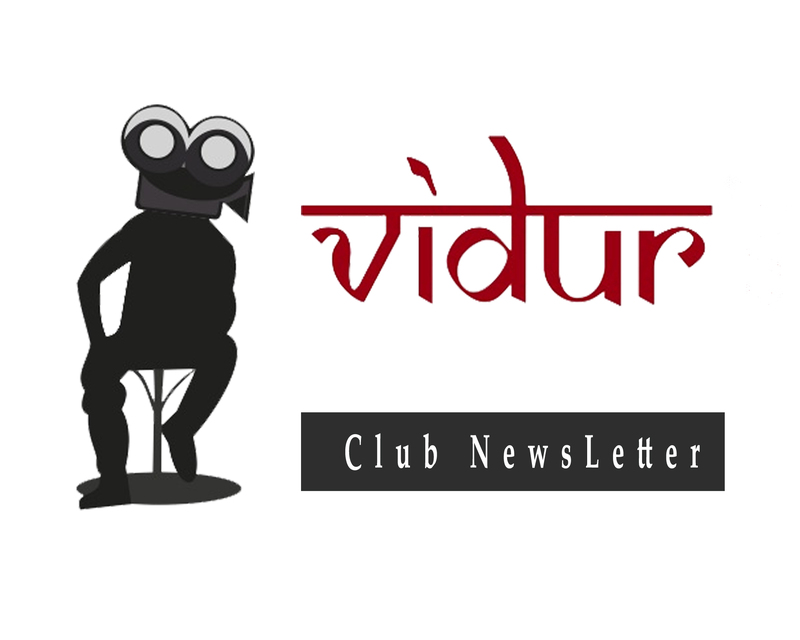 VIDUR Editing Studio , VIDUR Club and VIDUR Theatre would also like to congratulate him . MUMBAI – MAHARASHTRA – INDIA SEPTEMBER 16 , 2013 00.45 A.M. This is my 3rd blog about my ” Bigg Boss “ connection . This year’s ” Bigg Boss “ is starting fifteen days earlier than the previous seasons . ” Bigg Boss “ , a reality show , is based on the original Dutch ” Big Brother “ format developed by John de Mol . The show is hosted by Salman Khan. I wrote 1st blog about ” Bigg Boss – Season 5 “ on October 04 , 2011 . I wrote 2nd blog about ” Bigg Boss “ on October 09 , 2012 , when ” Bigg Boss – Season – 6 “ started on Colors on October 07 , 2012 . I had written that I feel extremely proud and humbled that from Season 1 to Season 6 , each season of ” Bigg Boss “ had 2 students of mine as participants . I can say with utmost pride and a feeling of accomplishment that till now my 12 students have participated in 6 seasons . Thus total number of my students , who participated in all the 7 seasons of ” Bigg Boss “ , is 15 . I am thankful to all my 15 students for making me proud . For me it is time to rejoice . But for some it is time to start abusive campaign all over again . There are Acting Gurus in Mumbai and there are some Gaali Gurus in Mumbai . 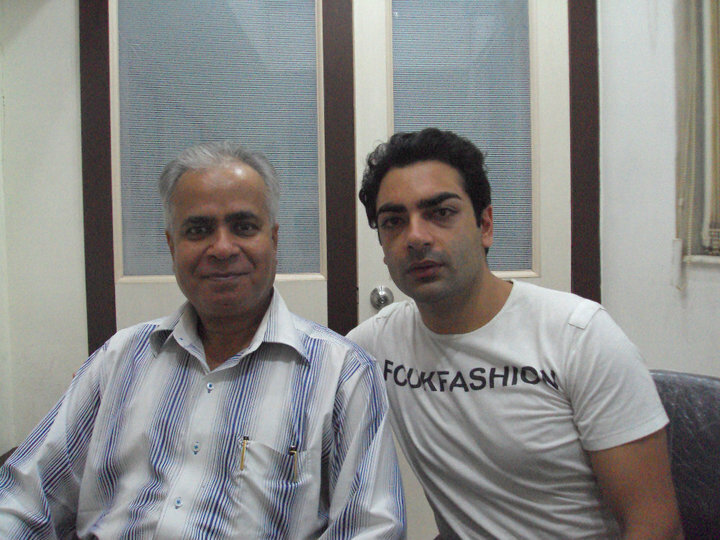 Acting Gurus train actors , who act in films and participate in big shows like ” Bigg Boss “ . Gaali Gurus hurl abuses and train students , who become brokers . They roam around in search of prey and hoodwink gullible students to take admission in the Facebook Acting School of these Gaali Gurus . But without them life would be boring . The dull and dreary life of an Acting Guru becomes full of fun when Gaali Gurus are around with choicest cuss words . So waiting for fresh round of abuses from the Gaali Gurus of the Facebook Acting School . On behalf of all the students and staff of VIDUR Acting Institute , which is known as Vidur’s Kreating Charakters , I congratulate all the above mentioned participants of ” Bigg Boss “ , specially the current 3 participants . VIDUR Editing Studio , VIDUR Club and VIDUR Theatre would also like to wish them well in their endeavour to win the coveted title of ” Bigg Boss – Season 7 ” . MUMBAI – MAHARASHTRA – INDIA NOVEMBER 30 , 2012 01.15 A.M.
” Ramleela – Ajay Devgn Ke Saath “ was the brand new show on Life OK , which just got finished . It was very unique concept . It encapsulated the whole story of Bhagwan Ram in just 5 episodes . Ajay Devgn is the narrator of the show . In the first episode , he tells us about Bhagwan Ram and the Ramleela starts with Maharshi Vishwamitra‘s Ashram . From there , story meanders through several anecdotes of Bhagwan Ram’s life and first episode ends when Bhagwan Ram is banished from his capital Ayodhya to forest for 14 years . After this rest of the story got finished in remaining 4 episodes . This show attracted me because Rajnish Duggal was playing Ram . I was intrigued . I have seen several actors essaying role of Bhagwan Ram . From Prem Adib in ” Ram Rajya “ to Arun Govil in TV serial ” Ramayan “ , I have seen them all . Rajnish Duggal is the new Ram on-screen . So I was curious . He was very impressive and impressed me as the mythical Ram . He looked regal and powerful . He enacted the role with the required finesse and panache . He is my old student and his respect and regard for me is unbelievable . I always follow his career and he seeks my advice if the need arises . From Vikram Bhatt‘s ” 1920 “ to Wizcraft’s ” Ramleela – Ajay Devgn Ke Saath “ , it’s a long and very fruitful journey for him . I am happy for his success . 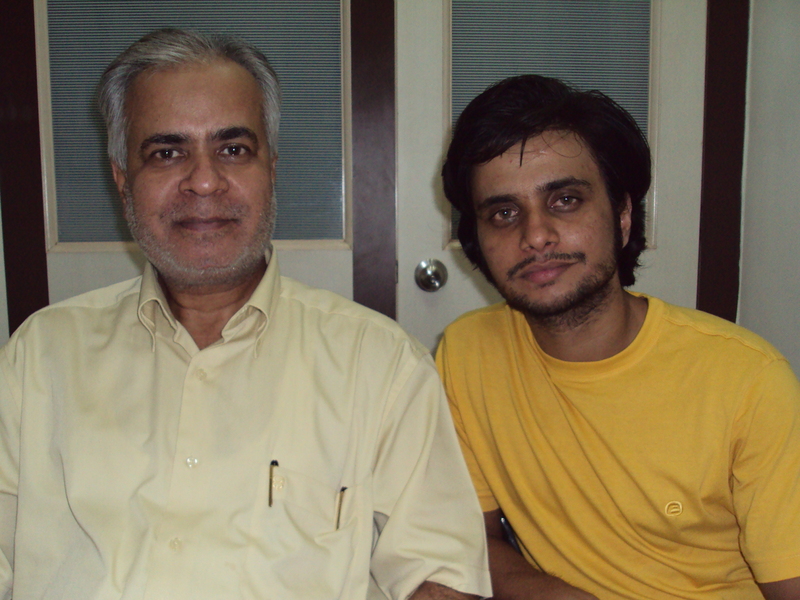 My son Raunak Chaturvedi also did two small roles in the serial . In the first episode he appeared as announcer of Mithila , the kingdom of Maharaja Janak . After this he appeared in the Sanjeevani Booti episode as one of the mountains . With these small roles , he took baby step in the world of cinema . 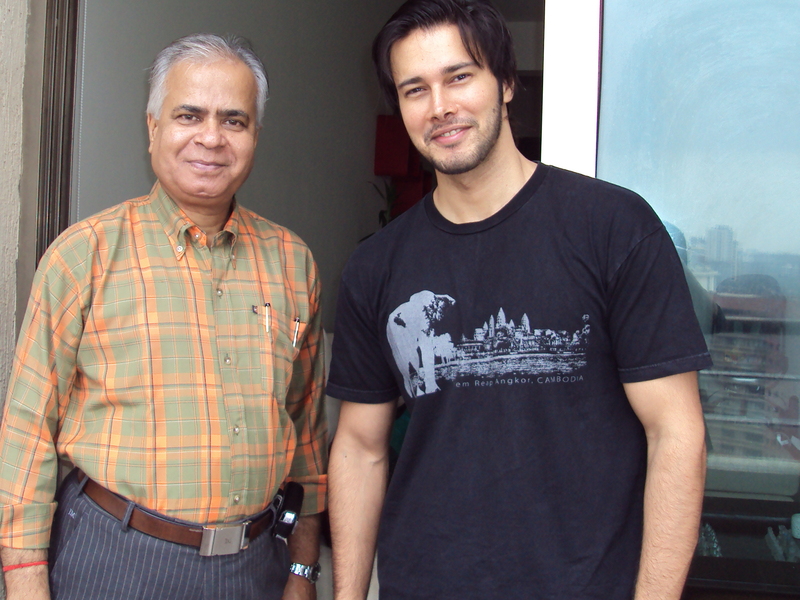 An innocuous serial became important for me because of Rajnish Duggal and my son . It was a well – made serial and special effects were mind-blowing . Wizcraft should be congratulated for this unique show . I , along with my acting institute Vidur’s Kreating Charakters , congratulate Rajnish Duggal and Wizcraft for this magnificent concept and imaginative show on television . I am also happy for my son that he got this role without my help . It is his own success . A beautiful journey of his life has started with this baby step . MUMBAI – MAHARASHTRA – INDIA NOVEMBER 24 , 2012 00.05 A.M.
One day I woke up in the morning and saw an ad in the news papers about some Gauri Bhosle , who was missing from her London home . I was intrigued because the face seemed familiar . Within few seconds I recognized the face . The girl Gauri Bhosle was none other than my student Mrunal Thakur . It then occurred to me that this is not an ad for a missing person but an ad for the coming serial ” Khamoshiyan “ . Mrunal Thakur is playing main female protagonist named Gauri Bhosle in ” Khamoshiyan “ , which is currently being aired on Star Plus . The serial is being produced by Sai Deodhar and her husband Shakti Anand . Incidentally Sai Deodhar is herself my old student . Sai is herself a fabulous actor but this time she decided to remain behind the camera . 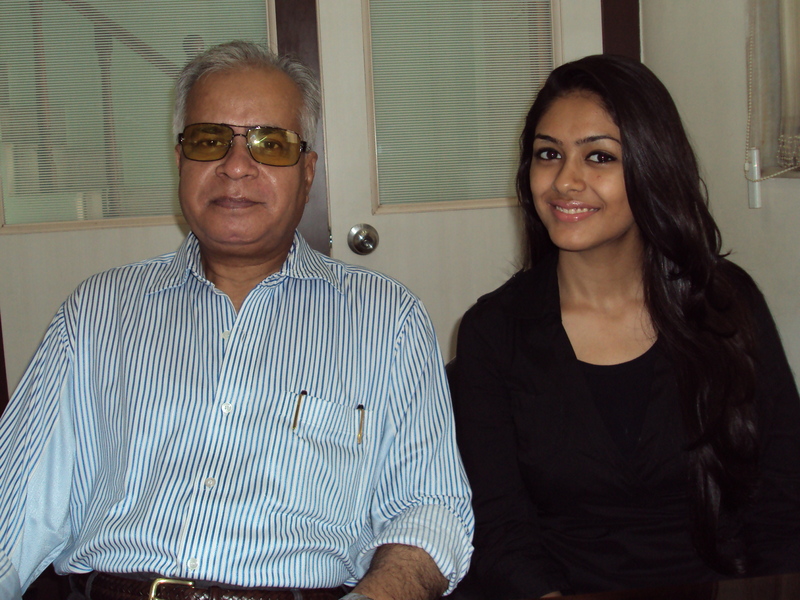 Before the commencement of shooting , Mrunal Thakur was sent to me for training by Sai Deodhar . I must say that Mrunal is very hard-working , dedicated and sincere student . She used to attend morning and evening both the batches because there was not much time available and she had to prepare her complex character within the short time . Before the start of the shooting of ” Khamoshiyan ” , I had to go to Manali to train Kalki Koechlin for Dharma Production’s up – coming venture ” Yeh Jawaani Hai Deewani ” . One day I got a call from Mrunal Thakur . She called me to inform that she is starting a new journey of her life and she needs my blessings . I was overwhelmed . There was no need of this gesture . A tutor always blesses his students . It was so sweet of her to call me and seek my blessings . In today’s time when few aggrieved students refuse to acknowledge me , when they openly make a statement that I know nothing , that I am not a good trainer , this gesture of Mrunal Thakur stands tall and is very humbling . It shows that she got good upbringing from her parents . She is not like some of the wannabe zombies who are disrespectful to me and thus show their poor , shameful and abominable upbringing . I am happy for Mrunal Thakur and wish her all the success in life . 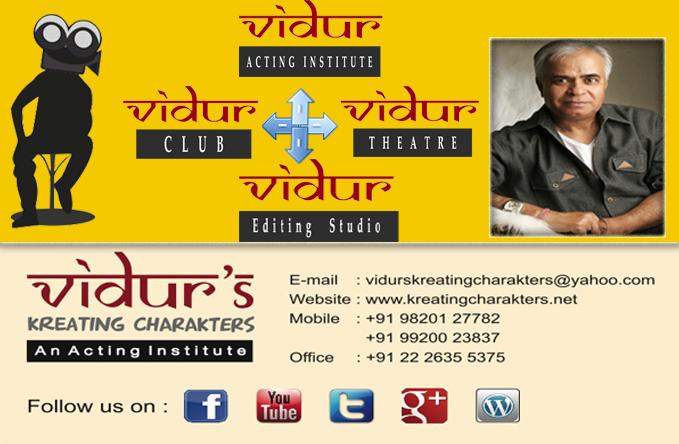 I , along with the staff and students of my acting institute , Vidur’s Kreating Charakters , congratulate her and bless her . May God give her all the success she deserves in life !! MUMBAI – MAHARASHTRA – INDIA NOVEMBER 16 , 2012 00.35 A.M. I came to Mumbai in 1989 . It was October 1989 precisely . That era belonged to Doordarshan a.k.a. DD . Fresh from the success of serials like ; ” Ramayan ” and ” Mahabharat “ , DD almost became omni – present . It’s all – pervading reach in India was unparalleled . For audience , it dished out various other popular programmes but there was clamour for more . Zee TV was the first to fill the void . It was India’s first satellite channel . It was launched in October 1992 with 3 hours of prime time programming . It started with some immensely popular non – fiction shows . SAANP SEEDI [ 1992 ] : This show was hosted by Mohan Kapoor . It was based on the famous game for kids . ANTAKSHIRI [ 1993 ] : This show was hosted by Anu Kapoor along with Renuka Shahane and some others . KHANA KHAZANA [ 1993 ] : Its 15 years run is unparalleled . AAP KI ADALAT [ 1993 ] : This Rajat Sharma anchored show was a trend setter . It was a must – watch on Sundays . SA RE GA MA PA [ 1995 ] : It is one of the Zee TV’s longest running show . Its several seasons spread over almost 18 years . DANCE INDIA DANCE [ 2009 ] : In the last 3 years it became one of the biggest and most succesful non – fiction show . INDIA’S MOST WANTED : It is the new non – fiction show of Zee TV . Apart from above mentioned non – fiction shows , Zee TV became a trend – setter with some of its fiction shows also . TARA [ 1993 ] : This woman oriented show was first of its kind and it ran for almost 5 years . This Raman Kumar and Vinita Nanda show is considered a trend – setter even today . It was very bold for its time . BANEGI APNI BAAT [ 1993 ] : It ran for 4 years and is the longest running weekly show on satellite channel . PARAMPARA [ 1993 ] : Mohan Bhandari played main lead in this family drama . ZEE HORROR SHOW [ 1993 ] : first of its kind , the show was hugely popular . CAMPUS [ 1994 ] : This weekly college based serial revolved around the teacher and students . HUM PAANCH [ 1995 ] : This Ekta Kapoor show will always be remembered because it is longest running weekly comedy show and Vidya Balan played one of the sisters . SAILAAB [ 1995 ] : It was a shocker of its time because of its story of extra – marital affair . AMANAT [ 1997 ] : It was the first family drama which was hit and set trend for the future family dramas . Apart from above mentioned hugely successful shows , Zee TV’s recent shows are also very popular . They are ; SAATH PHERE , JHANSI KI RANI , AGLE JANAM MOHE BITIYA HI KIJO and PAVITRA RISHTA . Initially Zee was number one but lost its numero Uno position to Star Plus when the latter came with ” Kaun Banega Crorepati “ . Zee TV’s current position oscillates between no. 2 and no. 3 . But there no denying the fact that Zee was a trend – setter and should be congratulated for that . Several of my students had featured in various shows of Zee . I congratulate Zee TV on behalf of all the students and staff of Vidur’s Kreating Charakters .